welcome february! i thought this dress was appropriate for the start of this month with its pops of red. 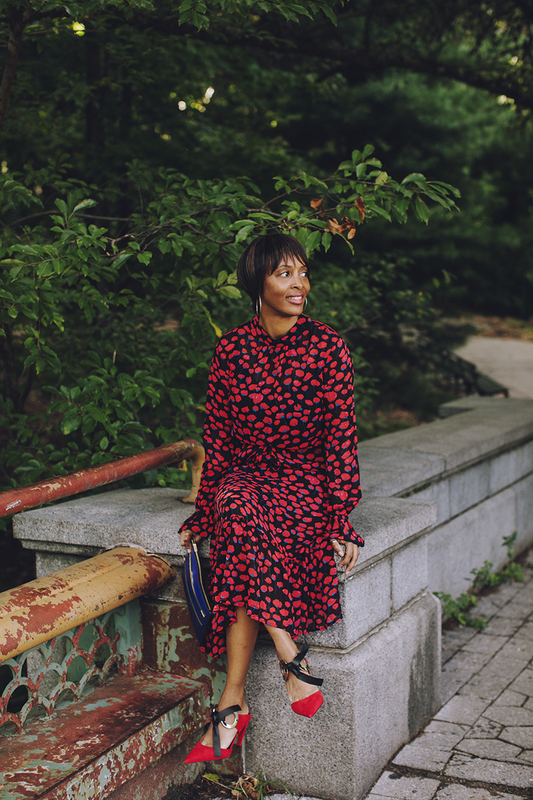 i bought this just female red poppy print dress back in october when i was going to new york for the fohr conference, and it’s one of those pieces that’s a one-and-done. depending on the accessories and shoes you add, it can go from work or dinner (like how i styled it here with red suede proenza schouler mules and a bold clutch), a casual weekend brunch, and can be worn across seasons (like with knee high boots or sandals). 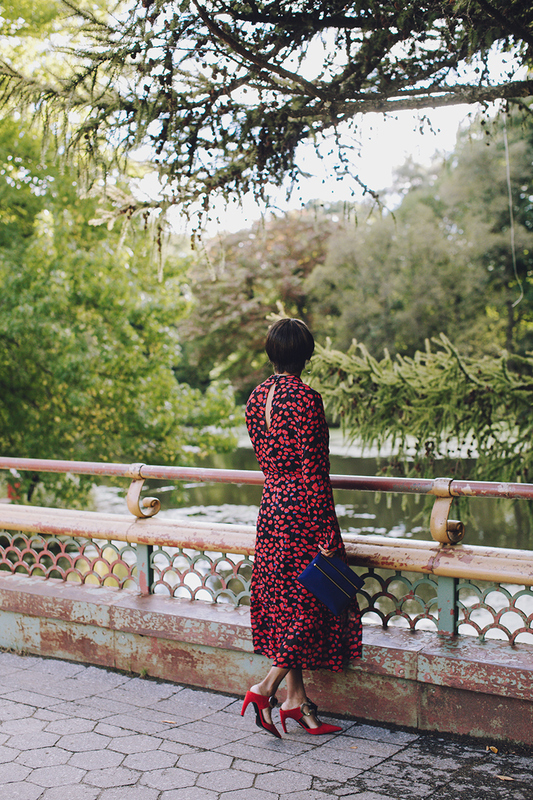 there were very few sizes of this dress left, so i’ve linked similar long-sleeve print dresses—with an eyecatching print, seasonless feel, and versatility. 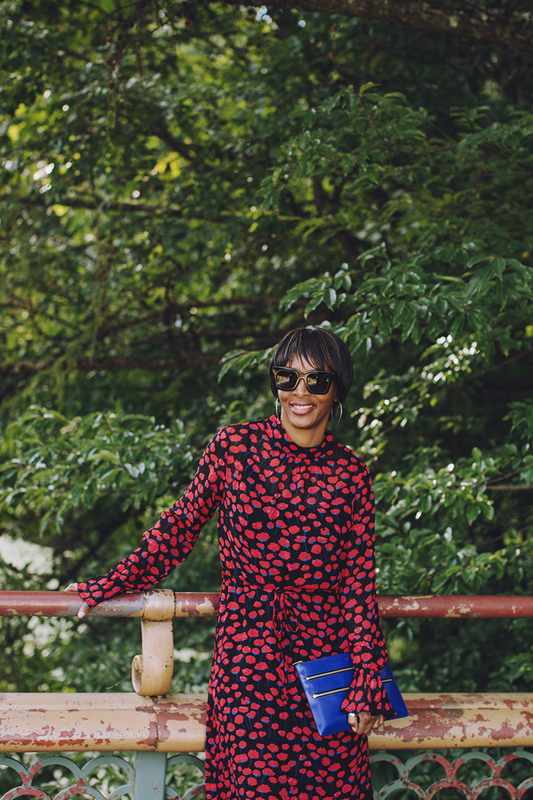 as i’m thinking about my wardrobe going forward, it’s quality over quantity and doing more exploring of my style. i’ve been using pinterest to do this most often, and i’ve got some posts in the works to talk about that. 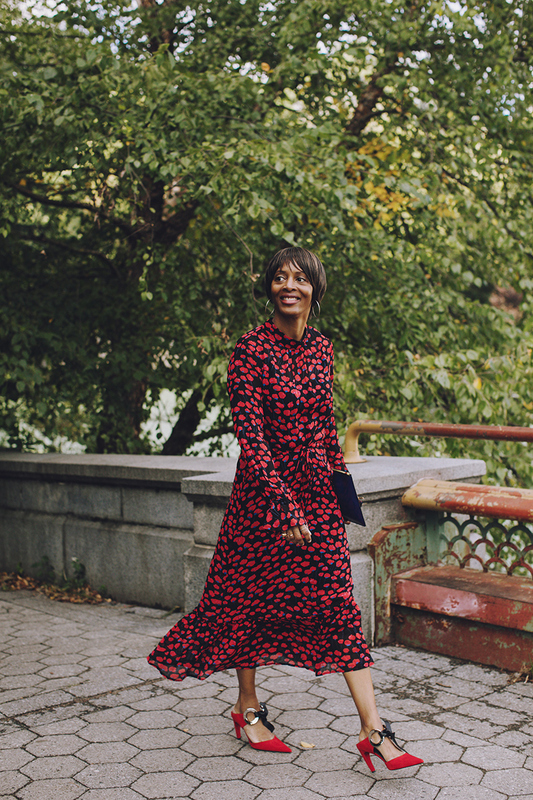 in the past, i’d see a floral maxi dress and think, ‘that’s too feminine for me,’ but it’s all how you put your spin on it. Previous Post tartan tuxedo blazer. Next Post f/w 2019 new york: brandon maxwell.